Never lose a client again! 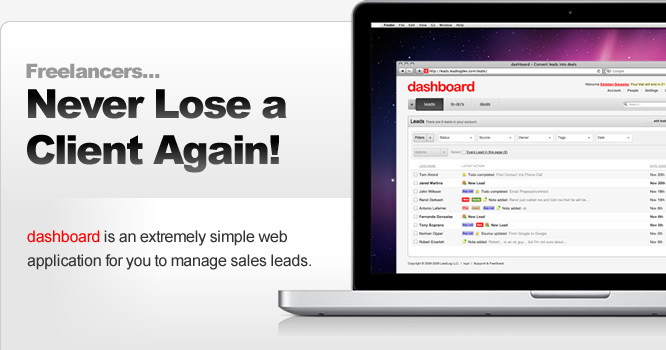 dashboard™ is an extremely simple web application for you to manage sales leads. Share forms with the internet and collect leads. your website via our API. by user, day, or type.